Mr. Turner (2014) is a biographic drama movie based on the life of Joseph Mallord William Turner who was the British Painter known for his paintings of wrecked ships. The movie is written and directed by Mike Leigh. 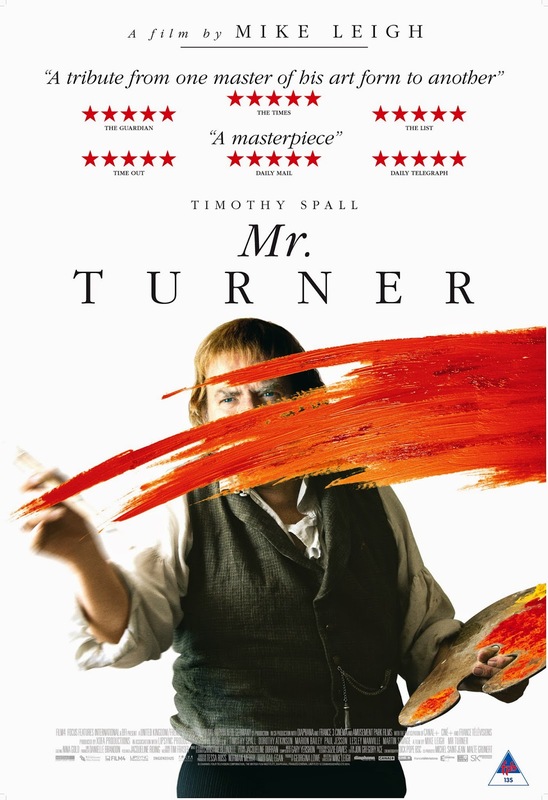 Mr. Turner Lead role is played by Timothy Spall. This movie will be known only for his portray of the famous painter. He really has acted exextremely well and brought the character to life. The movie shows the life of Mr. Turner in the later part of his life as his father dies and his dedication towards his work. He comes across various women in his life and is sexually involved with his housekeeper and a seaside landlady. His dedication to arts was so immense that he tied himself to the mast of the ship to get a view of the snowstorm which leaves him suffering from pneumonia. Dorothy Atkinson has played the role of the faithful housekeeper who always loved the painter till his end. She has brought some comic angle to the serious story with her acting. Marion Bailey has acted as the seaside landlady who falls in love with Mr. Turner and it's her house where he dies in the end. The movie has it's ups & downs and coming to age is also shown by the fact the painting were slowly replaced by the invention of Cameras. Timothy has really lived the character and it might be his Oscar winning performance this year. Check out the movie if you like to see UK's amazing cinematography and the acting of Spall. Otherwise movie is very slow and serious and won't be liked by the young generations unless they are the students of Arts etc. Mr. Turner (2014) is releasing in Ster Kinekor on 19th Dec 2014. Book your tickets now. More info on twitter and facebook.